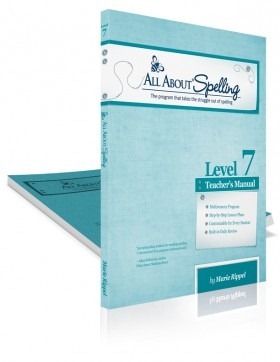 All About Spelling Level 7 DISCOUNT! Hi everyone, I just wanted to let you all know that All About Learning Press released their All About Spelling Level 7! Get a 15% off discount this week only! If you’re just starting you’ll need the Teacher’s Manual and Student Packet. You should also get the Basic Interactive Kit or Deluxe Interactive Kit that includes the magnetic tiles. Thank you so much for all you do! You’re kids must LOVE school! 🙂 I love all the wonderful things you do! My question is about All About Spelling. Right now I am using Abeka and I’m not sure how I feel about it. It’s OK, but not sure if my child is really learning spelling or just memorizing words. How would you compare the two since I saw that you used both.